After being elected as the naw president as successor to Núñez, Joan Gaspart confirmed Llorença Serra Ferrer officially as the new manager. The coach was already working with the club where he had been in charge of the youth teams since July 1997. The Mallorcan began his coaching career as manager of Poblec where he remained for five seasons. Later he was coach of the Majorca youth team and in season 1985-86 he became manager of the first team and won promotion to the first division. 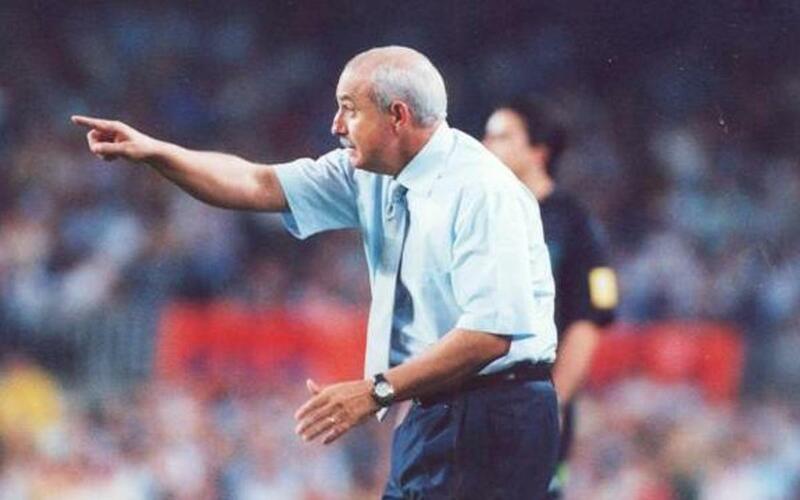 In season 1993-94 he joined Real Betis and that season he took the Seviille club to the first division. In the following season Betis finished third in the championship and won a place in the UEFA Cup and in season 96-97 they played in the final of the Copa del Rey against Barca. This fantastic form in charge of Betis opened the door to our club where, after three years as the man in charge of the youth squads, he became first team coach. During his managerial guidance the team were knocked out of the first league stage of the Champions League and went on to play in the UEFA Cup where Liverpool blocked their path to the final. On the 23 April 2001, after losing a league match against Osasuna, he was replaced as coach by Carles Rexach and returned to the technical staff of the Club. A year later Serrer Ferrer left FC Barcelona.